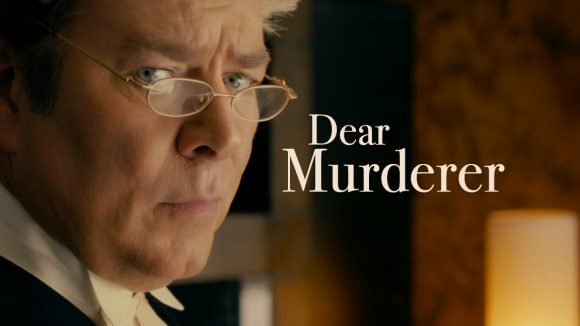 TVNZ 1’s premiere of Dear Murderer on Thursday won its slot with a 4.9% average of viewers 5+ but finished third in all the key commercial demographics. It averaged only 2.6% of the network’s target 25-54 audience, compared to lead-in Restoration Man’s 4.3% and had only half the audience share of TVNZ 2’s First Dates, which averaged 5.2% for the 8.30 hour. Three’s re-run of Speed also out-rated the dramatisation of flamboyant lawyer Mike Bungay’s life and crimes, averaging 5.5% over two hours. Unlike Dear Murderer’s, Speed’s audience built over the first hour, off a low-rating 25-54 lead-in of Jono and Ben (2.8%). TVNZ 2 had the edge for most of the night because of Shortland Street’s resurgent popularity (9.3% – 14.1% of the four core demos) and the 7.30-8.30 dominance of Police Ten 7 and Surveillance Oz. But TVNZ 2’s winning streak ended with Love Island at 9.30, which averaged 1.8% – 1.9% of the 18-39, 18-49 and 25-54 demos and 4.2% of household shoppers with kids, surrendering its slot to the second half of Speed. But there was better news on the local drama front for TVNZ 2’s Filthy Rich, which won its time slot on Tuesday (3.8% of 25-54, 3.8% of 18-49, 3.5% of 18-39, 8.3% of HHS). Part of Filthy Rich’s appeal appears to be at the expense of TVNZ 1’s Body Hack, which scored a miserly 25-54 average of 1.9% while Three’s SVU averaged 2.1% — fewer than half the viewers of NCIS. Wednesday’s edition of Australian Survivor was also up on the previous week, with 3.2% – 5.8% of the core demos compared to The Block NZ’s 6.1% – 9.1%, HOMEmade’s 2.5% – 4.7% and Rachel Hunter’s Tour of Beauty’s 1.5% – 3.3%. NCIS: Los Angeles dominated the 8.30 hour with 5.0% of 25-54 while lead-out Hawaii Five-O improved with 3.1% — and that was against an unusually strong 20/20, which won the 9.30 hour in all the key demos (3.1% – 5.6%).